For the first time in the history of Disney princess films, moviegoers were treated to two lovable characters in one film rather than just one. Queen Elsa and Princess Anna stole hearts when the film Frozen was released. Now they are stealing the attention of numismatists as well. Today, the 2016 1 oz Silver Niue Disney Frozen Princesses Elsa and Anna Coin is available to purchase on Silver.com. Ships in a storybook-themed case with full-color artwork. Fifth and final coin in the Frozen: Magic of the Northern Lights Series. Mintage limited to 10,000 coins only. 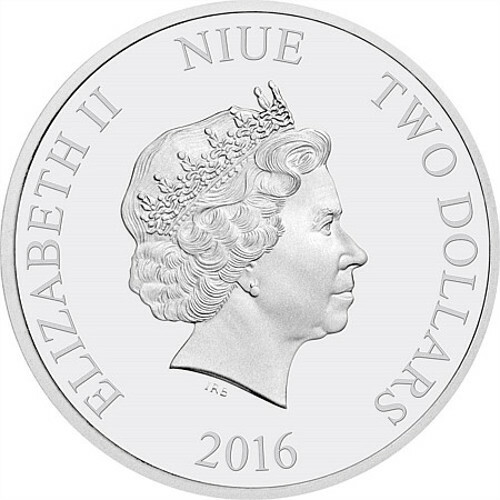 Face value of $2 (NZD) is fully backed by Niue’s government. Reverse features the two sisters in full color. Obverse includes the portrait of Queen Elizabeth II. In the Frozen: Magic of the Northern Lights Series from the New Zealand Mint, silver proof coins are struck with brilliant colorized fields on two-thirds of the coin’s reverse field. 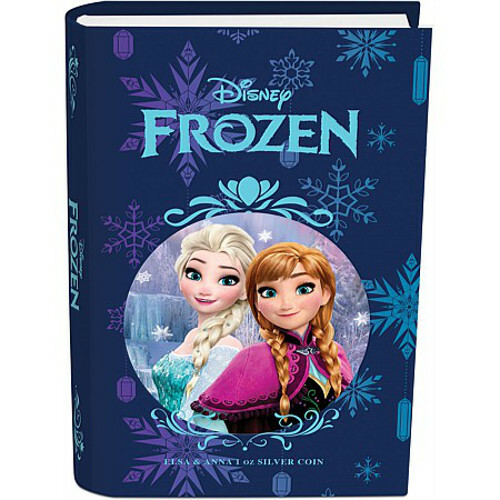 In the first release, Queen Elsa was highlighted individually. The second release featured Princess Anna on her own. Following the release of an Olaf coin (3) and Kristoff & Sven coin (4), the New Zealand Mint has its final coin in the series ready and it combines the lovable sister duo in one brilliant desire. Queen Elsa has the power to control the winds, snow, and ice, but must harness it in order to live a life by her sister’s side. A stubborn Anna refuses to not be by her sister’s side either, leading to an inevitable life-and-death situation in the film. 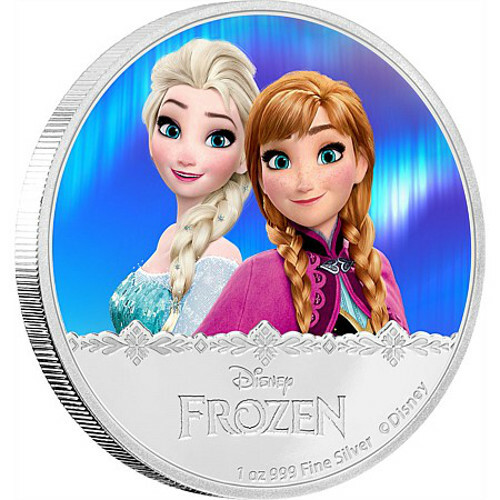 On the reverse of the 2016 1 oz Silver Niue Disney Frozen Princesses Elsa and Anna coin you’ll find the image of the two sisters together, at last. The background field has a brilliant colorization meant to mimic the appearance of the northern lights above the kingdom of Arendelle, where the two sisters live and rule. The obverse of all coins in this release feature the familiar right-profile portrait of Queen Elizabeth II. Her Majesty’s fourth-generation portrait was created in 1998 by Ian-Rank Broadley, and depicts the Queen aged roughly 68 years old. 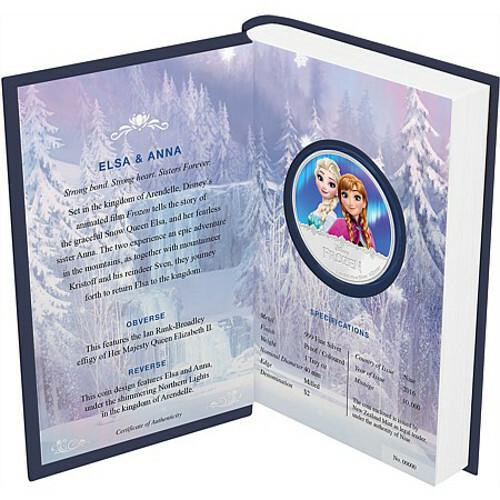 All coins in the Frozen: Magic of the Northern Lights Series ship inside of storybook-themed cases with full-color artwork from the Frozen feature film. An individual numbered Certificate of Authenticity is included in each purchase. New Zealand Mint is a privately-owned company located in the city of Auckland. The mint, despite being the only one in New Zealand, is not responsible for the production of national currency. The Royal Canadian Mint and Royal Mint of London strike New Zealand dollars. Please direct your questions to a Silver.com associate at 888-989-7223, connect with us online using our live chat, or email us directly.